The latest figures suggest nearly all Halls residents attended the workshops, which finished today. Trinity Hall consent workshops saw attendance figures reach over 90 per cent, according to the latest figures from Trinity College Dublin Students’ Union (TCDSU). 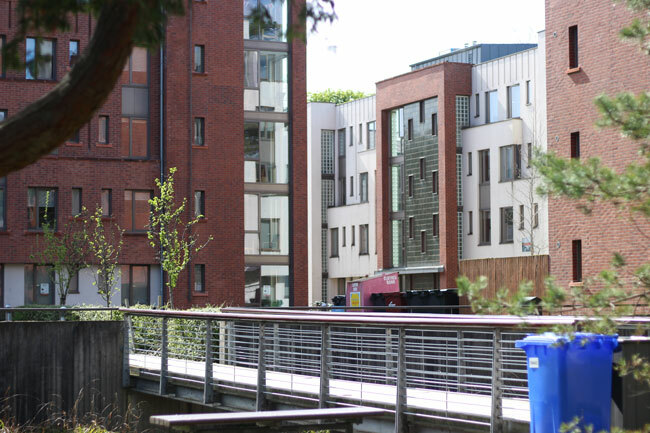 With the last consent classes in Trinity Hall concluded, attendance figures suggest that 90.8 per cent of Halls residents attended the classes. Organisers have been forced to hold more workshops and call in more facilitators due to increased demand. Rachel Skelly, last year’s TCDSU Gender Equality Officer and a lead organiser of the workshops, told The University Times that the increased demand for more workshops in the coming weeks comes from students who missed the classes this week. Skelly thanked the wardens in Halls and the Student Counselling Service for their help running the workshops which, in their second year, have seemed to achieve success unprecedented in Ireland. With 400 people participating in the workshops as a whole last year, over 200 people turned up to the workshops on the first day alone. A further 140 participated in the classes yesterday. Based on information collected last year, organisers had expected a maximum turnout of 25 people per workshop. Due to the intense demand, however, organisers have been forced to open extra rooms, with upwards of 40 people turning up to workshops. The workshops have undergone several structural changes this year to ensure maximum attendance. Each house in Halls has been allocated a time slot with a member of the welfare team responsible for ensuring people know when it’s their time to attend. Magnets were placed in each apartment with flyers and a timetable of the classes left on kitchen tables. Speaking to The University Times Damien McClean, TCDSU Welfare Officer, explained that they put several workshops on at the same time this year so if attendances was low, as happened a few times last year, they could amalgamate the workshops. They have had the opposite problem, however, with more people than expected turning up. “There’s a lot of differences and it’s hard to attribute what is better”, said McClean of this year’s workshops. In University College Dublin (UCD), earlier in the year, consent classes had to be cancelled, after poor turnout. In July, Queen’s University Belfast Students’ Union (QUBSU) announced that the union would be modelling its consent classes on Trinity’s model. “We’ve had a huge emphasis on it’s ok if you can’t make your workshop but you have to let us know”, explained McClean. “It’s just becoming an accepted part of the culture. It’s topical”, he continued. Skelly said that the reaction from those attending has been incredibly positive. Participants are given feedback forms at the end of the workshop and “nearly all of them” said they had learned something useful over the course of the class. “It was fabulous that people were like so happy and comfortable asking questions”, she said. Get The University Times into your inbox twice a week.